Welcome to Troika Cafe. Please click here to read a helpful introduction to the website. New membership is currently on hold. 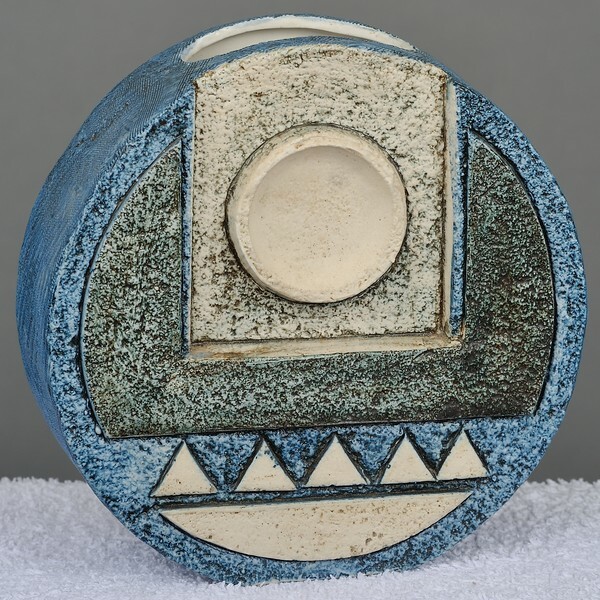 This medium wheel vase was decorated by Tina Doubleday between February 1977 and November 1978. This vase is 6.625 inches tall. ©2019 Troikacafe.com. 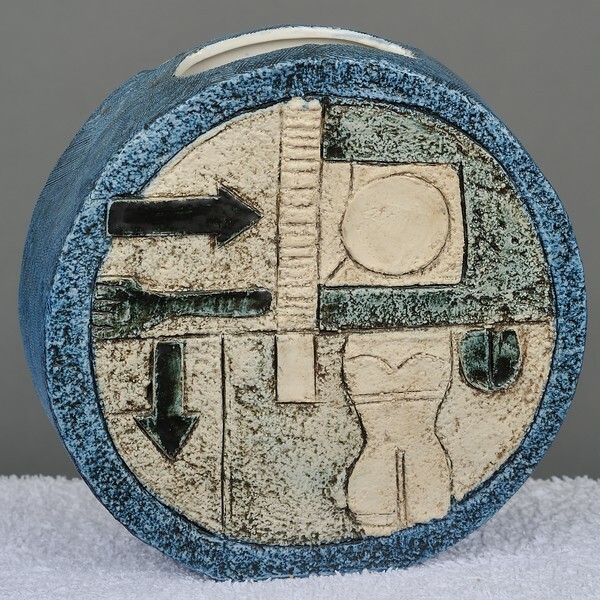 The Troika Cafe is an independent domain dedicated to the enjoyment of Troika pottery and ceramics. 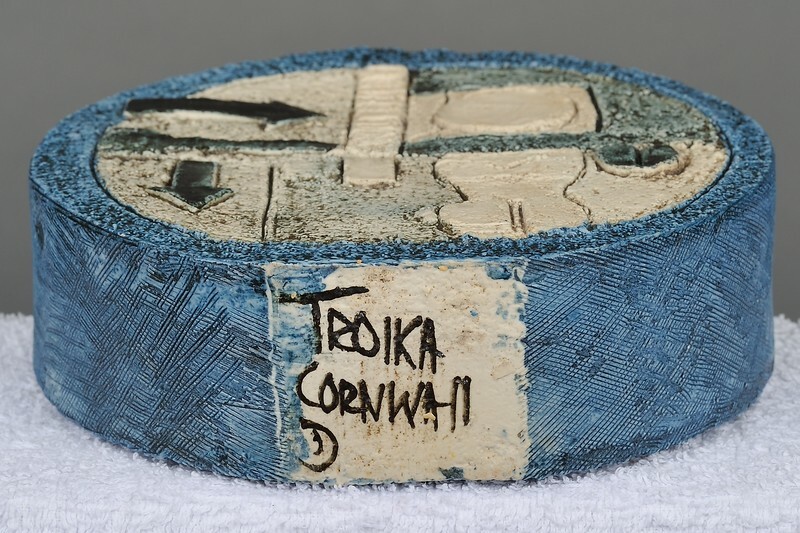 The Troika Cafe is not associated in any way to the former Troika factory in Cornwall, UK.